Today was one of the best days I have had in a long time. I woke up this morning with my family celebrating Easter. 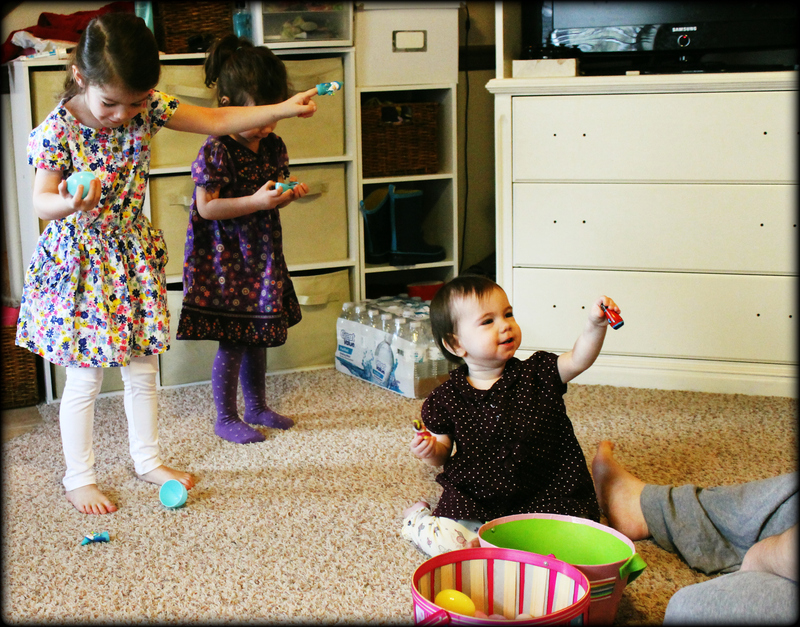 My wife Jamie and I laid eggs full of fruit snacks and toys all over the living room for our kids to find. I remember Ash and Britt opening each egg and eating all of the candy inside before putting the egg in the basket. After awhile they started putting all of the fruit snacks they found in a basket, so they could eat them later. Soon after, I found Elle stuffing her face full of fruit snacks to the point they were falling out of her mouth because she couldn’t close it all of the way. After we had our family Easter hunt, I had to go to school and finish my homework. I really don’t like going to school to finish my homework because it takes me away from spending time with my family on a Saturday. But, Saturdays are one of my busiest days to do school work. I am taking 8 classes right now, which people tell me I am crazy for having that many classes. I would have to agree with them because I have been ready for this semester to be done 5 weeks ago. I still have 2 more weeks left of school. These last couple of weeks are going by really slow. After a long day at school, I finally came home and moved Ash’s bed out of our room. It was a long process because I had to move Elle’s bed into Britt’s bedroom to put Ash’s bed in Elle’s old bedroom. Once we put them to bed, I realize that I might have made a mistake because all I heard was Britt and Elle laughing and playing while they should be sleeping. The best part of my day is making this blog so that Jamie and I can blog together. Hope all of you enjoy the many posts that are about to come. This entry was posted in Uncategorized and tagged Ash, Beds, Britt, Easter, Easter Egg Hunt, Elle, Fruit Snacks, Jamie, Saturday, School, Sleeping, Tony. Have a very Happy Easter!! We are headed to my InLaws and are having an Easter egg hunt for my Grandson!! I can just picture Elle doing that! My oldest has always stuffed his mouth with food. With him it didn’t improve with age, he’s 7. Happy Easter! Happy Easter! Good to have both you and Jamie blogging together.